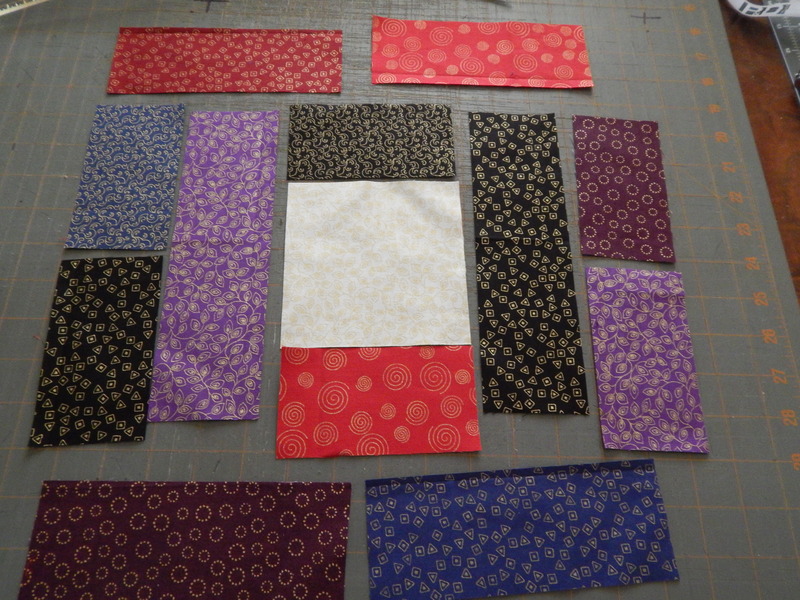 I have been so busy the last few days that I haven’t gotten a lot of quilting done. When I have it finished I will hand quilt it. My hand quilting project for now is still the antique applique quilt. 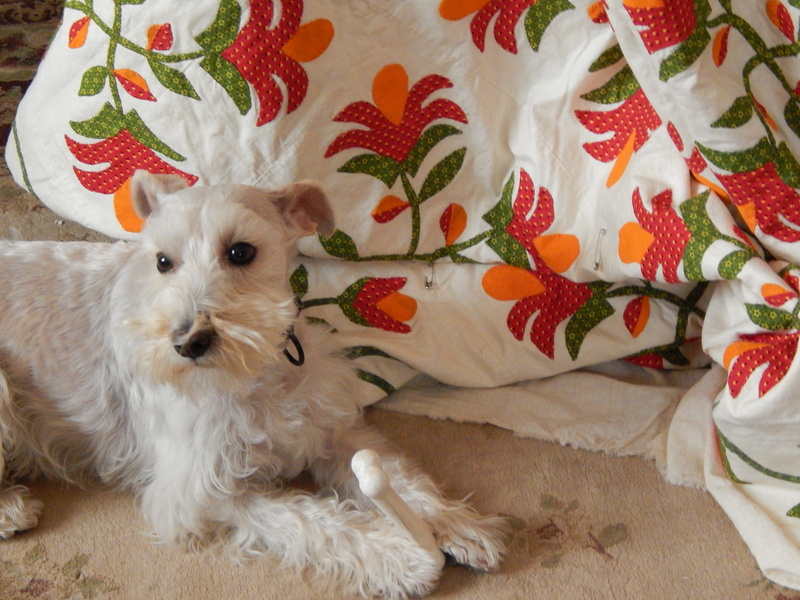 Teddy is still concerned that someone is going to steal his bone…he keeps checking on it and keeping it in his sight. 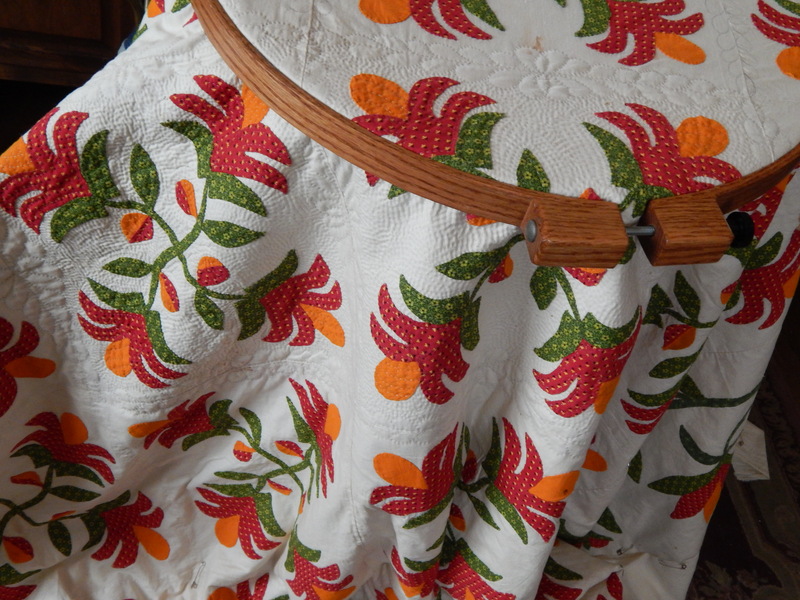 It is still snowy and cold and perfect weather for hand quilting……Even with the hoop on a stand the quilt covers you up nicely as you work. This entry was posted in Quilts and tagged antique quilt top, hand quilting, P&B textiles, Quilts. Gorgeous quilts & Teddy makes me laugh. When you show us this quilt again, I would appreciate your telling us whether it’s a new quilt and if there’s a common name for the block. I recall you showing it before but I don’t recall what you wrote about it. Thanks. My goodness Tim how wonderful to have two such striking quilts and made over 160 years apart. 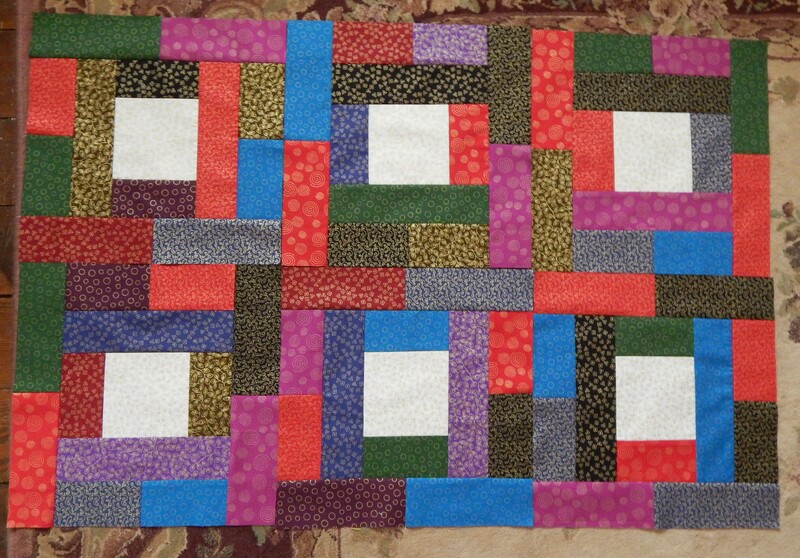 I have been showing my son’s( all over 50) your quilts you make and they all like your strong colours and combinations. Pineapple quilt is looking so incredible I’m looking forward to seeing that finished with the padding added. Glenda Australia. 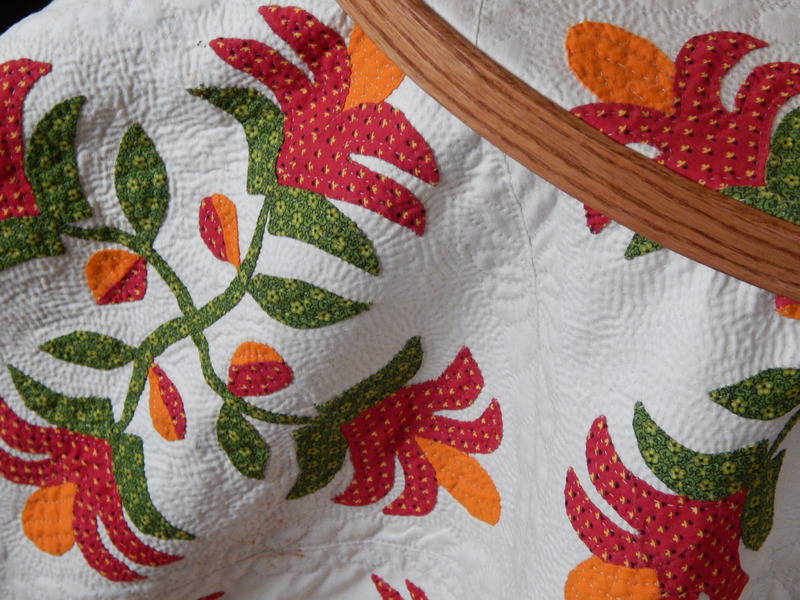 I love this appliquéd quilt…isn’t it amazing how brilliant the colors are, even after so many years! Cannot wait to see it all finished. I was wondering what kind of hoop and stand you use? 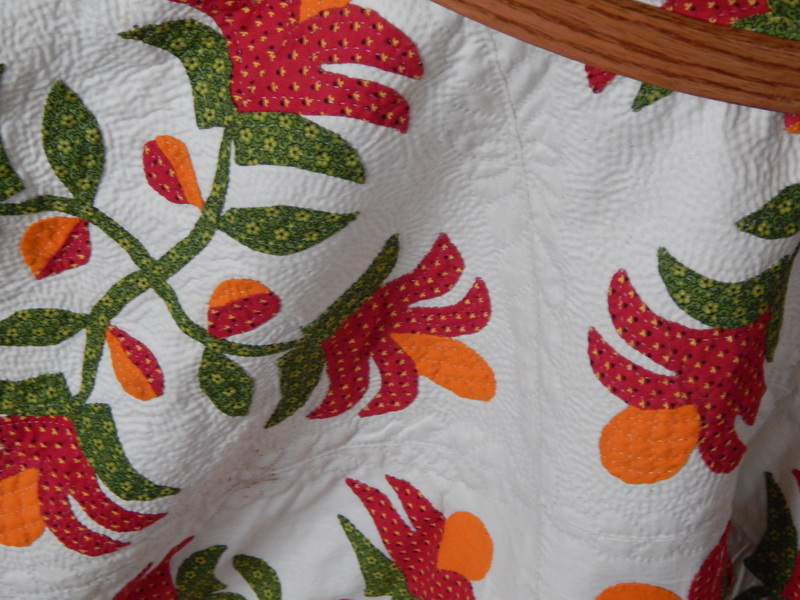 I really look forward to reading your blog entries and am interested in and impressed with your hand quilting and devotion to preserving the antique quilts! But I have to admit I also get a big kick out of Teddy. He is precious! !